I hope everyone had a great week and lots of fun on Halloween. The Lakota students capped off their celebration of Red Ribbon week — a time focused on reminding them of the danger of drugs — with some spooky fun, wearing costumes to school and trick-or-treating on campus. The students then gathered in the rec center for the Grand March and judging of costumes. There were awards for scariest, funniest and most creative costume, along with awards for pumpkin carving and home decorations. Check out the fun on our Facebook album! 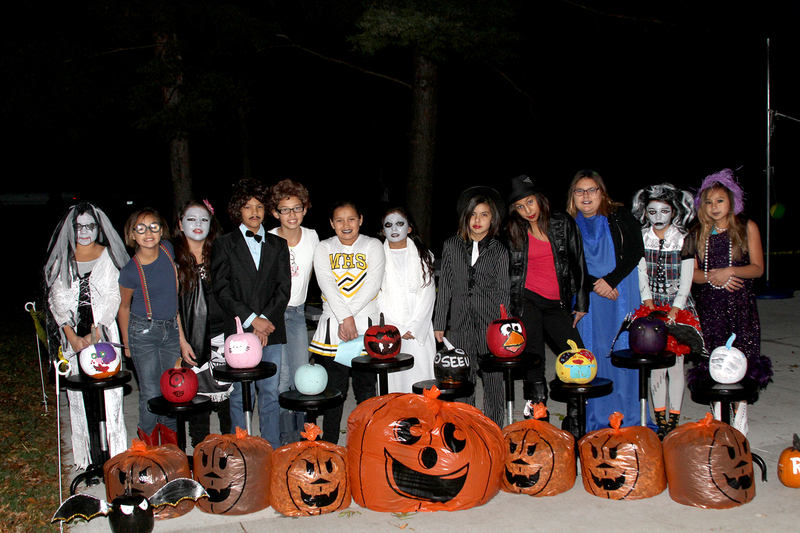 St. Joseph’s students capped off Red Ribbon Week with Halloween fun! Our High School Academic Advisor, Tara, announced the members of the 2013 Lakota Nation Invitational (LNI) Knowledge Bowl team. LNI is an annual event held before Christmas each year in Rapid City, South Dakota. It gathers members of the Lakota nation from all over the state and surrounding areas to compete in a wide variety of events — basketball, archery, an art show, Native American hand games, language contests and the Knowledge Bowl. Our students, Erica, Ashley, Michael, Cody, Kyran, Liliana, Jacob and Angela will meet every Sunday night until the competition to practice. As the weather is changing and cooling down, St. Joseph’s students are spending more time indoors. We recently held sign up for archery and wrestling. The younger students are also getting ready for Dancing Dolls and Dudes. With the end of the first quarter, we acknowledged our honor roll students in grades 1-8. Students received certificates and a special prize for A and B Honor Roll and for perfect attendance. Have a great week. Know that you and your intentions are remembered in our prayers. Thank you for your generosity!